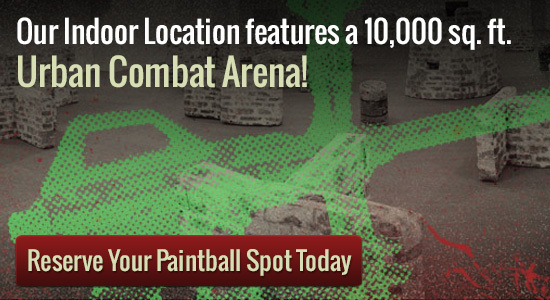 Looking for paintball arenas near you? If you live in the Minneapolis area, you may be interested in checking out Splatball Games. This is one of the premier locations for paintball enthusiasts, so you will want to see what we have to offer. You might be impressed by their paintball arenas, which will provide people with some thrilling action. Think about stopping by if you are an individual player or want to make a reservation for a group. The experienced staff here can show you what types of playing styles are available at the course. We can even answer any questions you may have about playing paintball on these grounds. The staff at Splatball can also show you several of the numerous reservation bundles available. This spot is great for kids birthday parties along with other events. The countless paintball arenas here could be changed to suit your requirements. We even offer you time of year goes by, which can give you some of the lowest charges that you could discover anyplace all around. This is basically the ideal selection for a group of buddies that wants to start up a paintball league or group. You can even try out walk-on play if you are an individual or have a group of smaller than 8 players. Once you intend to save a spot, you may want to think about browsing through the many paintball arenas we now have offered. Splatball is incorporated in the center of the Two Towns. It provides a 10,000 square foot urban battle world plus the greatest store/technician center in Minnesota. The whole premises are weather managed for max comfort. We have even an observation area and personal bash room.